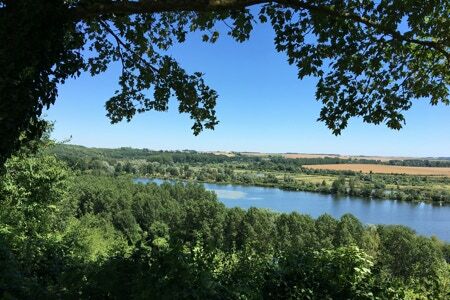 • Occitanie - See our separate Occitaine page for more. Depending on group size and how much you have seen of Paris before, we can put together a programme that includes a mixture of city walks, museum visits, and explorations of the lesser-visited quarters. 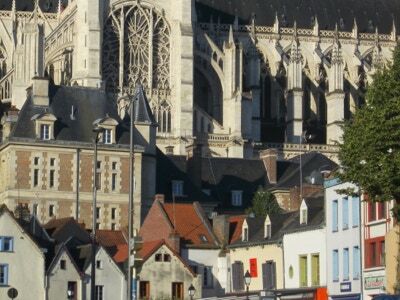 Take a walk from the Bastille through the Marais district with fine 17th century mansions, the bustling Jewish quarter, and remains of the 13th century city wall leading down to the Seine. Or explore the 19th century Nouvelle Athenes quarter between Pigalle and the Gare St Lazare, including the Museum of the Romantics, heading on to the Park Monceau and the intriguing Musée Nissim de Camondo overlooking it - a snapshot of the life of an early 20th century patron of the arts. Consider a minibus tour of Paris by night to see the lights of the Champs Elysées, the Eiffel Tower, and major landmarks such as the Invalides. 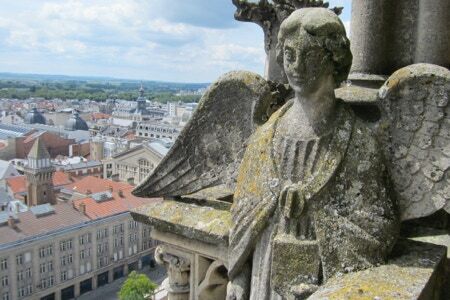 See Paris - an itinerary for more photos and ideas. 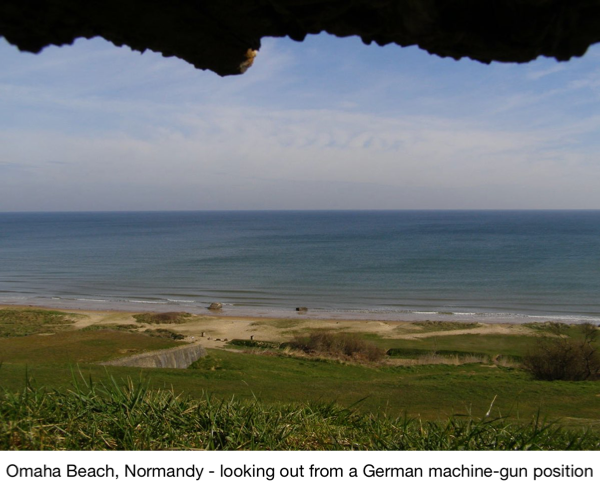 Normandy is the apple orchards of the beautiful Pays d’Auge countryside, and the beaches and cliffs at Dieppe where Canadian soldiers suffered in an August 1942 raid. 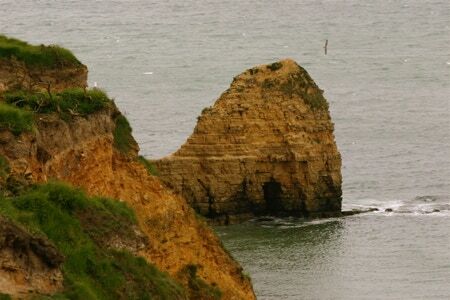 See Normandy - some itineraries for some suggestions. 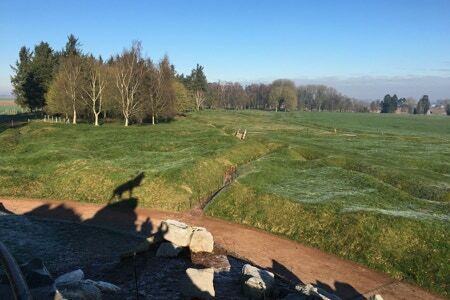 This large, new region takes in Picardy – including the Somme, Amiens, and the beautiful Bay of the Somme – and the former Nord / Pas-de-Calais region, with the Channel cliffs, the big cities of Lille and Arras, and the Canadian World War I memorial at Vimy Ridge. It includes the striking cathedral at Amiens (the largest in volume in France), the Louvre-Lens offshoot of the Louvre museum in Paris, some of the major World War I sites, beautiful open, rolling countryside, and two interesting inter-war sites in Roubaix: the ‘La Piscine’ art gallery in a former municipal swimming pool, and the Villa Cavrois, the modernist family home of a textile magnate. 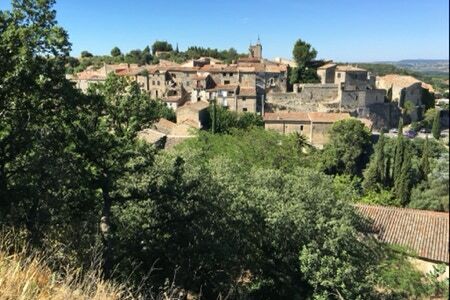 For more see Hauts de France - some itineraries. 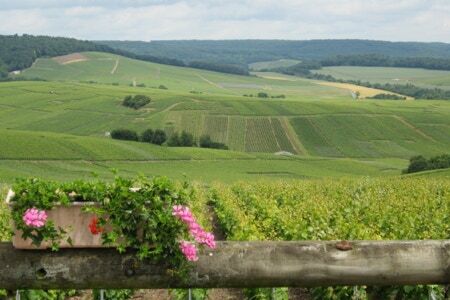 Another of the new ‘mega-regions’, Grand Est takes in, from west to east, Champagne, Lorraine and Alsace. 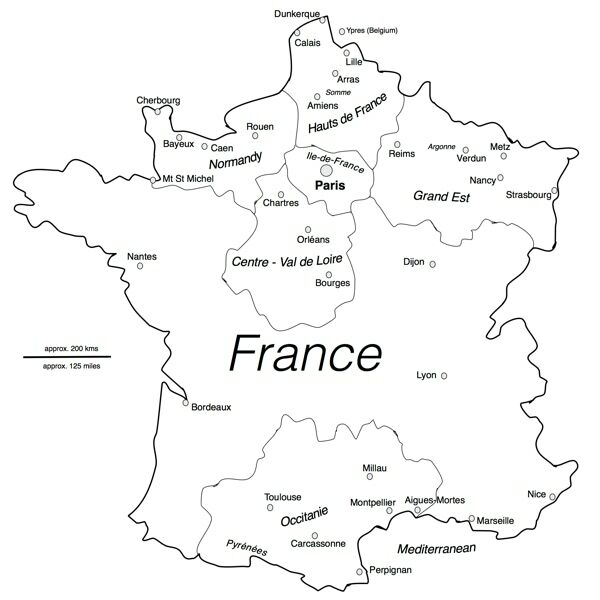 This includes the champagne fields between Reims and Epernay, de Gaulle’s home at Colombey-Les-Deux-Eglises, the great medieval cathedrals of Reims, Metz and Strasbourg, the Verdun & Argonne battlefields of World War I, the Vosges Mountains, Maginot Line forts near the German border, and the Surrender Room in Reims where German forces surrendered at Eisenhower’s HQ in May 1945. A stunning mix of open, rolling countryside, huge forests, great cities, and some off-the-beaten track villages in Lorraine particularly. 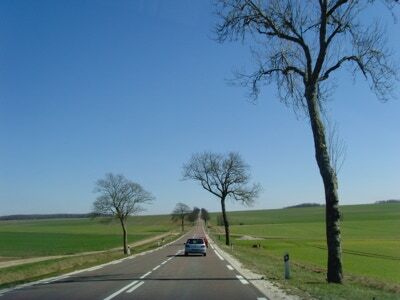 See Grand Est - some itineraries. 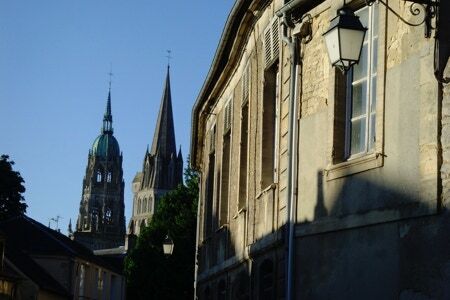 This region starts at Chartres in the north, taking in the most historically significant stretch of the huge Loire River between Sancerre and Tours, and reaches south past the cathedral city of Bourges to the empty Brenne Regional Park with many small lakes and villages - a major site for birds. 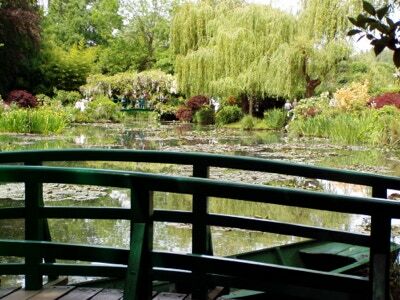 See Centre - Val de Loire - some itineraries. 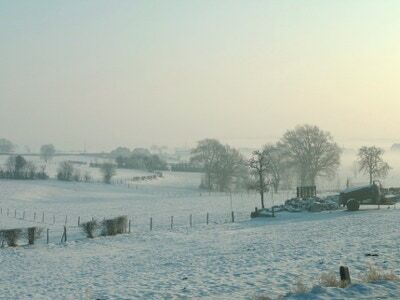 See our separate Occitaine page for more.